Phillips will launch its upcoming Editions Sale in New York City next week. Leading the auction is Keith Haring's last print entitled Best Buddies (1990) which he made before his death that same year. "Haring created the work at the request of his friend Anthony Shriver, the nephew of President John F. Kennedy and founder of Best Buddies, a non-profit organization that was in need of a new logo. We are offering this last impression from the publisher," as per a statement by Phillips. "Phillips is honored to offer this last impression of the edition from the personal collection of Chris Murray, who has gifted the piece by KeithHaring in recognition of his support and friendship." The artwork, which measures 55.9 x 70.2 centimeters, is titled and numbered 9/200 on the front in pencil. Moreover, the piece is also penned with the aforesaid details on the reverse portion by Julia Gruen who is the executive director of the Keith Haring Foundation. Best Buddies has a presale estimate of $18,000-$25,000 USD. The Editions Sale will officially launch on April 23, head over to Phillips' official website to learn more. Drawing directly from the "you should see me in a crown" music video, Murakami and Billie Eilish reunite for a limited vinyl figure. Inspired by the clip's distinctive visuals, the figure offers a plethora of fan-friendly features. Clad in a matching T-shirt, short and sneaker set emblazoned with Eilish's own "blōhsh" logo (like the Murakami-designed merch drop), the anime version of Eilish stands 7" tall. Crafted from sturdy vinyl, the dark makeup from the video is intact, along with the angular pink hair and silver padlock necklace and rings that recall Eilish's signature jewelry-heavy looks. The yellow-heavy toy is appropriately packaged in a matching, Eilish-branded box, designed to display neatly on a shelf. The figure is available in exclusive numbers on Billie Eilish's website. Recently, Eilish was confirmed as a performer at Diplo's summertime music festival. Towards the middle of last month, 03 Greedo and Mustard announced a collaborative album known as Still Summer In The Projects and introduced the project with a YG-assisted lead single known as "Wasted." Now, having received further support from the recent follow-up single and Shoreline Mafia collaboration "Trap House," 03 Greedo and Mustard's Still Summer In The Projects LP is here and available for listening in its entirety. Notably, Still Summer In The Projects is made up of 11 songs from Greedo and Mustard, with guest-features coming in the form of the aforementioned records with YG and Shoreline Mafia and "Grapevine" with Trilliano. The album is being released and promoted by Alamo Records, and serves as Greedo's first full-length release of 2019. "I was very comfortable working with Mustard because he brings a traditional sound," 03 Greedo previously told Billboard, sharing some insight into how Still Summer In The Projects -- a project that Greedo calls one of the "easiest albums" he's ever created -- came to life. "He met me halfway on some beats that kept that sound but also fit me and what I bring to the table. I would just pull up to the studio, roll some weed, sip some champagne, walk around mumbling to the beat, and just go in the booth and one take every song ... Very precise. I knew going in what was on my mind that I wanted to get out." You can stream 03 Greedo and Mustard's new joint album Still Summer In The Projects below, courtesy of Apple Music and Spotify. For more impressive new collaborations from the West Coast, check out TC4 and MemoTheMafioso's "Gotta Get It" video. 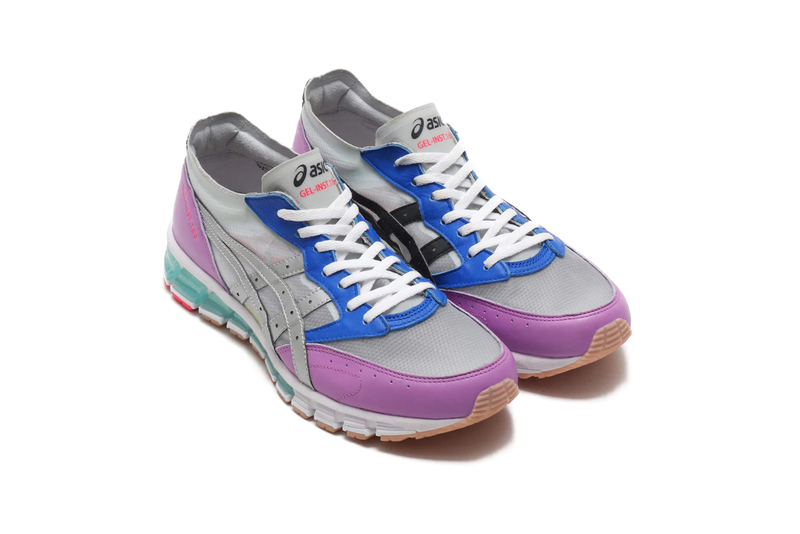 Earlier this month, atmos and ASICS strapped their GEL-Inst.360 sneaker with soft pastels just in time for spring. The collaborators have flipped the script in the latest release of their lighter-weight GEL-Inst.180, juicing up the silhouette with layers of vibrant colors for a fiery aesthetic. 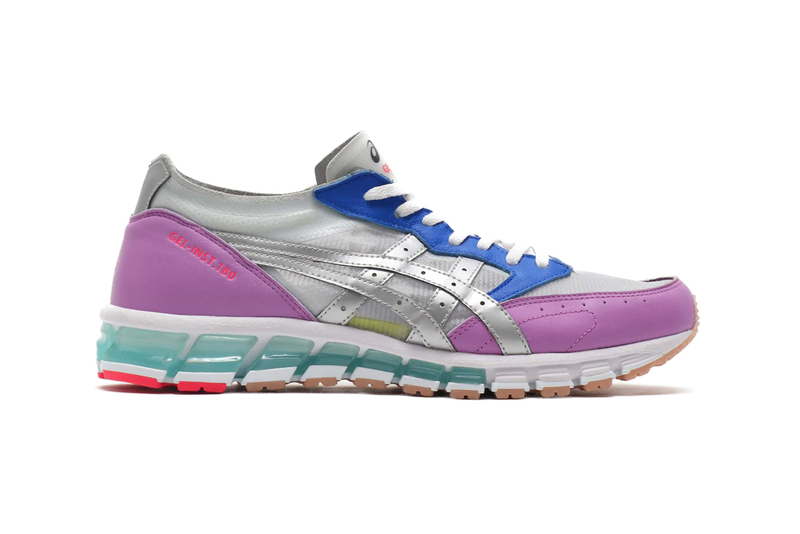 Two striking new options for the GEL-Inst.180 were designed with multicolored palettes that span a rainbow of hues. 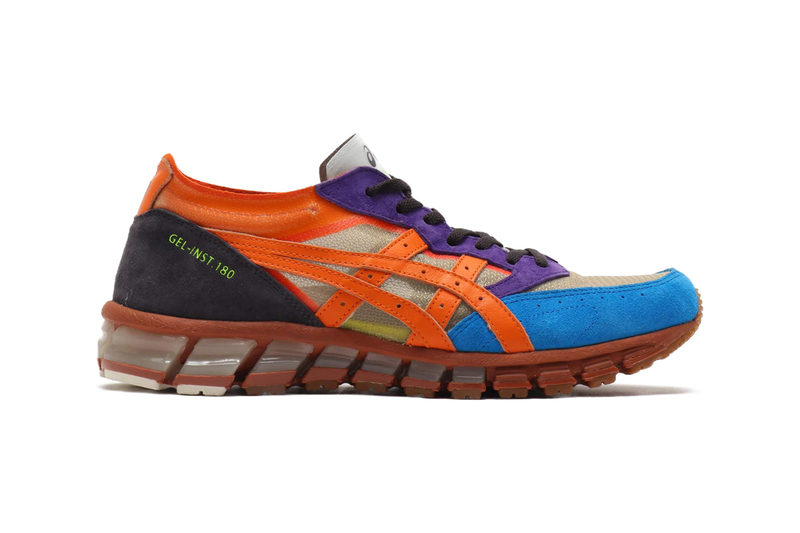 The "Orange" version is defined by its bold ASICS stripes on the lateral side panels, while an electric blue toe cap and purple lace keeper punch it up even more. A tan mesh underlay, brown midsole and black suede heel balance it out with neutrals. The "White/Silver" edition takes on a sleek ash-toned base. Crossed stripes in black rest on the medial, while they have been coated with silver on the lateral. 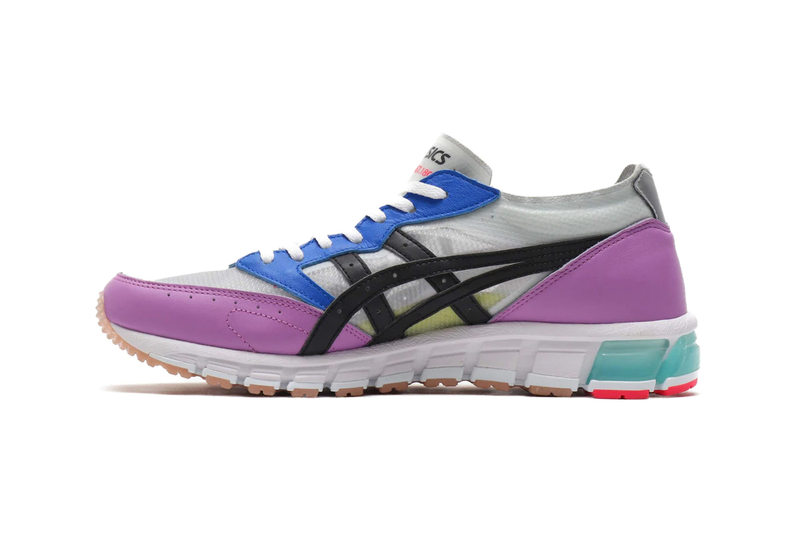 Meanwhile, its lavender toe cap and back heel, as well as a royal blue throat pop things up. It's finished off with a clean white sole. 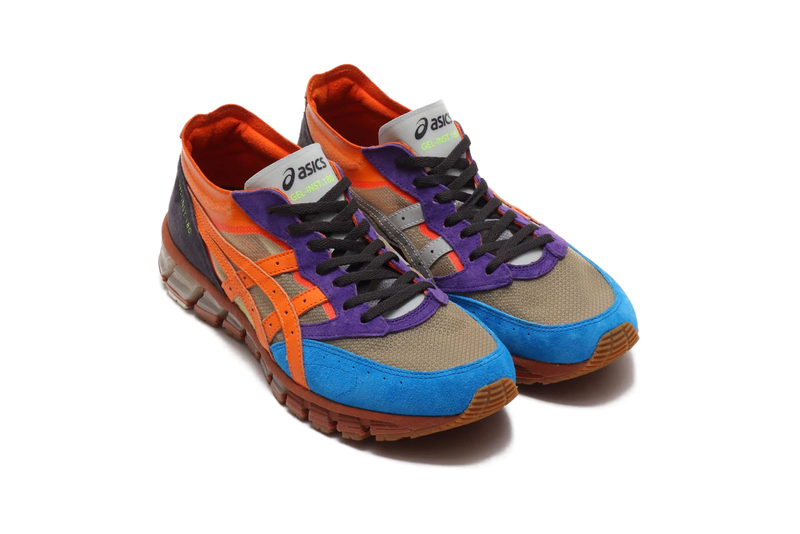 The atmos x ASICS GEL-Inst.180 retails for ¥15,000 JPY (approximately $135 USD) and is available to shop now from atmos Tokyo's webstore. Scroll above to view the sneakers in the brands' recent promo movie. 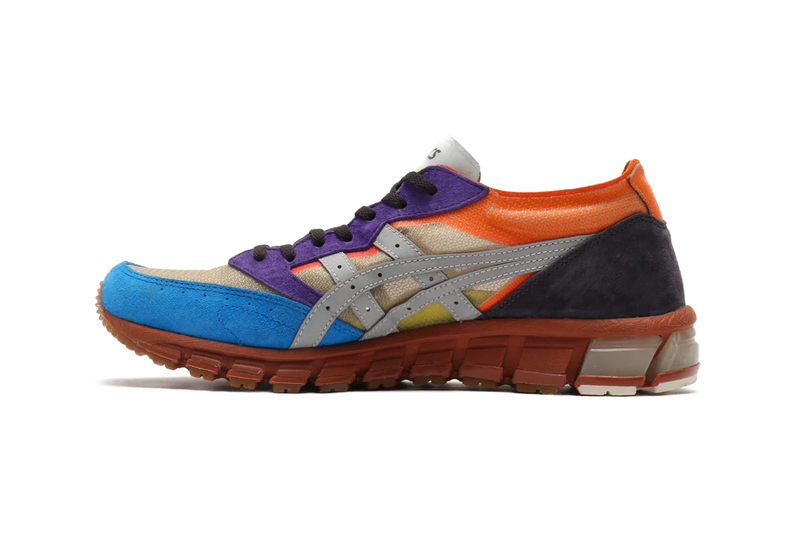 For more in footwear, take a look at the official debut of Vivienne Westwood and ASICS' collaboration. John Elliott continues delivering appreciably wearable collections, bridging the Spring/Summer 2019 and Fall/Winter 2019 gap with his expansive, yet grounded, Pre-Fall 2019 offering. Despite this range slotting in between two large deliveries, it's packed with colorful, covetable layering pieces and exclusive collaborations. This is our first Pre-Fall collection, and the thought process behind it was framed around delivering product during high summer," Elliott tells us. "I was in Europe for about 12 days during the World Cup, when it was scorching hot. During that time, I had the privilege of driving around the Amalfi Coast thinking about what I want to wear in this sort of climate." This desire to beat the heat in style yielded the collection's breathable nylon windbreakers, climbing-belted shorts, slouchy drop shoulder hoodies and bold animal-printed pouches, simultaneously "telling a story about my childhood, my teenage years playing basketball, and creating product that was appropriate for the warmest months." Along with the raw-hemmed denim shorts (crafted in Japan, as usual) and open-collar twill shirts, the collection includes special collaborative items. These include treated leather riders jackets crafted by Blackmeans and accessories provided by Japanese leather- and silver-smiths M.A.R.S., along with another new colorway of LeBron James' signature Icon sneaker. This time, the court-ready sneaker surfaces in "Volt," with a bright yellow upper that matches several other items in the Pre-Fall 2019 collection. "We’ve been working with Nike for almost three years," recalls Elliott. "[it's] a collaboration I really cherish. I knew we would be debuting a pair of the LeBron Icon in a "Volt" color way. It was such a fun burst of color that we thought it would be proper of us to inject that color into our core products, so for the first time ever there’ll be tees and French terry in a "Volt" colorway. ... we’re excited to get some more ICON color ways out this year. The new collection hits John Elliott's web store April 23 with weekly product updates through June. A black iteration of Elliott's collaborative LeBron Icon will hit the retail location later this spring. Most recently, LeBron was named one of TIME's 100 most influential people. Besides the best sneakers, food, landscapes and selfies, Instagram is also home to the most stunning imagery of cars. From old-time classics and vintage muscle, to sleek European imports and JDM tuners, there's no short supply of hard-parking, up-close drifting, speed limit-breaking whips on the social media platform. To crown the heaviest hitters, insurance company Veygo and Motoring Research has listed the top 25 most Instagrammed cars in the world. The list is, surprisingly, not entirely made up of the hottest, most exclusive supercars. While obvious eye candy -- the Lamborghini Aventador, Audi R8, and Chevrolet Corvette -- is definitely within the 25, consumer favorites like the VW Golf, Honda Civic and Audi A4 find themselves contending for the attention of social media equally. The Mazda MX-5 is respectfully placed in #22 with almost 1.5 million mentions, while the Porsche 911 and Carrera (split due to the public denoting the same car differently, perhaps) make up around 4 million mentions in total. Not surprisingly the BMW M cars are well within the list, but the #1 spot is owned by the classic Ford Mustang at almost 12 million mentions. Much like on the streets, the Mustang leaves the #2 position -- the Honda Civic -- in its dust with more than a 4 million-mention gap. Check out the 2019 list below, and for more automotive news, learn more about the 50th Anniversary edition of the 3rd most IG'ed vehicle, the Nissan GT-R.
Netflix may be introducing a dedicated random play button for television series, which mimics watching episodes off of broadcast television. The new feature has been spotted by a few users already where the "next episode" shortcut usually is. In addition, some of the platform's most popular shows like Friends and The Office (seen in the tweet below) sport the "random episode" icon on the top-right corner of the promotional image, allowing people to jump into a random episode with a single click. It is currently unclear if this is just an experiment by Netflix or if this is a new feature members can expect to roll out soon. For now, it appears the feature is only available for a select few accounts. This follows Instagram's new feature to showcase what you're watching on Netflix via Stories, however, it's only available for iOS. In other news, Netflix's price hike for many existing customers will start in may's billing cycle. The Hole NYC is set to launch its latest group exhibition entitled “Post Analog Studio” that explores digital media’s influence on the art process. All of the participating artists in the presentation will introduce original works that were made using technology such as CAD rendering, and 3D modeling. One of the highlights of the show is NYC-based artist Robert Lazzarini’s massive chain-link fence in the shape of a wave called Torn, a series of computer modeled oil paintings by Emma Stern, and more. “Post Analog Studio” will be open to the public from April 20 until May 19. Head over to The Hole NYC’s website to learn more. Elsewhere, Jeff Koons’ iconic Rabbit sculpture will go on sale this May as part of Christie’s New York auction. Part of Valentino's Pre-Fall 2019 Ginza Six installation, which kicked off late last year with Doublet, UNDERCOVER and Kuroki denim collaborations, the TKY collection is a celebration of Japan's rich heritage. Artists like Yuki Murabayashi and Tetsuya Noguchi contributed installations to the space, reworking classic Valentino motifs with an authentically Japanese bent. The capsule collection accompanying the installation centered around several cutesy manga critters, including a snake, dragon and panther. Symbolic of Valentino touchstones reinvented with a Japanese eye, the animals even have their own backstories. These characters appear on T-shirts, hoodies, hats and even sneakers, accompanied by stylized Valentino branding and the characters' names, taken from one letter of "VLTN" (VEE, EL, TEE, EN). Photographer Izumi Miyazaki contributed a series of exclusive images to the collection, which appear on T-shirts, sweaters and tote bags. Japanese mythology is reworked, like the notion of kissing with a facemask on to avoid spreading germs -- However, You'll Never Know Unless You Try swaps Valentino masks for traditional surgical options. The garments offer casual, effortless cuts and Valentino's usual eye for detail, with top-shelf textiles sourced for each, easily fusing Japanese streetwear with the world of Italian design. Elsewhere in Japan, A$AP Rocky rejoined NEEDLES for more exclusive AWGE track gear. Back in February, Z Money celebrated the birthday of his iconic 1017 Eskimos label-boss and collaborated with him for "Millions," a Hoodrich Pablo Juan-assisted record that also doubles as a toast to the successful grinds of all three of its featured rappers. Now, continuing to celebrate the luxury-lifestyle that rap, his work ethic and sharp mind have afforded him, Z Money serves up another sonic celebration of his riches, "Wealthy." You can stream Z Money's new "Wealthy" single below, and stay tuned for much more from the Chicago rapper, who is expected to deliver even more new music in the near future. For more, revisit Migos superstar Offset and Gucci Mane's collaborative "Quarter Milli" music video, which first arrived in February of this year. Nike and Nordstrom have officially brought their sneaker concept shop to New York City, launching their first-ever men's boutique today at the department store's West 57th St. flagship. This opening marks the sixth NxN outpost in the chain, following behind women's locations in Toronto, Chicago, Seattle, Vancouver and L.A. The space is set to house a rotating selection of coveted Nike product. Other emerging and established fashion brands — such as Stone Island, Givenchy and Calvin Klein, which have all been merchandised in the current assortment — will also be included in the mix to broaden the range. Capping off the debut collection are several re-released Nike kicks, including the React Element 87, the atmos x Nike Air Max2 Light and the Blazer Mid ’77. Keeping its signature service options in mind, customers can expect NxN to offer three-hour same day delivery in NYC, buy-online/pick-up in-store capabilities, personal styling and sneaker cleaning. The launch will also incorporate a capsule from L.A.-based menswear staple RTH, as well as literature from VIDOUN. “This is not another fitness-only shop, or straight sneaker destination. We hope that this is a place where men come to discover unexpected product, find inspiration and take their personal style to the next level,” said Olivia Kim, VP of Creative Projects at Nordstrom. For more fashion news, read up on the upcoming Palace store opening in L.A.
Back in February, Drakeo the Ruler, Bambino and 03 Greedo teamed up for a collaborative single produced by Thank You Fizzle and Al B Smoov, "Let's Go." Now, the trio reconnect for the single's official music video, choosing to reach out to local-favorite director LewisYouNasty. Notably, "Let's Go" serves as the lead single in support of Bambino's forthcoming debut project, Suspect Apprehended. "I always had my own sound, always made my own music. Even when I wasn’t taking it serious, it would still sound like nobody else," Drakeo the Ruler previously told Dazed, explaining how he came up with his unique flow and vocabulary. "My lifestyle ... The way we be. Me and my brother, the team, the cars we drive, the life we live. Everything I do, it’s all linked. We had to code it, so wasn’t just like, 'Oh, he’s just saying stuff' ... Everybody has money. And everybody is saying 'money.' Some people might have a lot. So, 'You got uchies' means like, 'You’ve got a lot of money.' You could say it’s boredom: I just don’t want to be saying those same words (as everyone else). There’s a lot of words I could use, but sometimes I want to experiment: if I say this word it’ll be more appealing. I could say the regular, straightforward stuff, but I don’t want to do what other people think of." You can check out Drakeo the Ruler, Bambino and 03 Greedo's new "Let's Go" music video above. For more, revisit 03 Greedo, Shoreline Mafia and Mustard's "Trap House" video from last month.